“Being a working class lad and having just bought a gleaming Mkll Jaguar to replace his Ford Anglia, it wasn’t long before George knocked on our Forthlin Road front door. 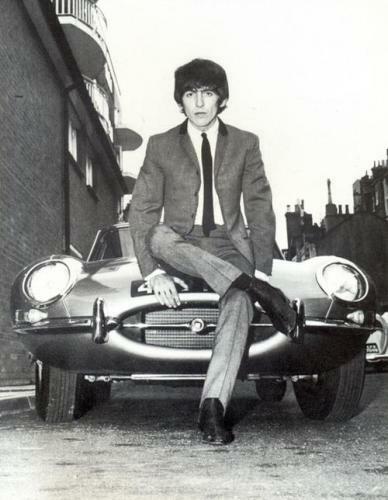 “Quick, Mike, get your camera and take a picture of me with my new Jag.” “But George, it’s getting dark!” I observed. “Bring your flash” said George. “And it’s started to rain!” Said I. “Bring your umbrella” said George”. This entry was tagged George, Mike McCartney. Bookmark the permalink.